Today marks the fiftieth anniversary of President John F. Kennedy’s assassination… I was wondering where everyone was and what they were doing when he was killed. I know that many of you were not born. Today we reflect on his legacy and some of us may wonder what would have happened if he did not die in the motorcade in Dallas fifty years ago. Please leave a comment sharing your memories of this man or your tributes if you were born after his death. 1. John F. Kennedy accomplished what no other American had done — he became the first Catholic president of the United States. 2. To this day, John F. Kennedy’s call for Americans to serve their country has remained an inspiring and memorable appeal. 3. Among John F. Kennedy’s most notable and long-standing accomplishments was the establishment of the Peace Corps, an organization that is now responsible for sending thousands of American volunteers around the world to help the needy. 4. It was John F. Kennedy’s cautious and sensible approach to the standoff during the Cuban missile crisis that ultimately diverted a nuclear war with the Soviet Union and secured the removal of missiles from Cuba. 5. John F. Kennedy was committed to landing a man on the moon, and although it occurred after his death, it was his support of space exploration that helped make it happen. 6. 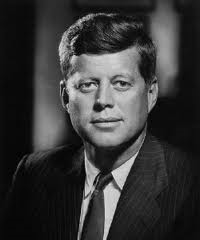 John F. Kennedy’s perseverance was instrumental in securing a limited nuclear test ban treaty with the Soviet Union. 7. It was John F. Kennedy’s dedication that helped secure the passage of the Area Redevelopment Act, which assisted states that were suffering from high rates of unemployment. 8. Under John F. Kennedy’s administration, laws were put in place to end segregation in interstate travel facilities. 9. John F. Kennedy helped promote the arts by holding concerts, plays, and musicals at the White House. 10. John F. Kennedy issued an executive order prohibiting discrimination in the sale or lease of housing that was financed by federally guaranteed loans or owned by the federal government.